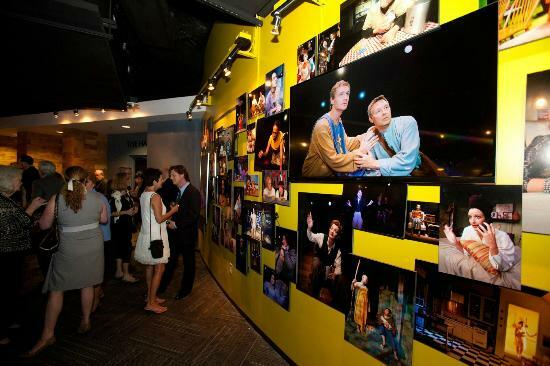 In the heart of downtown Orlando you will find one of the most respected theatre companies in the area. Mad Cow Theatre opened its doors in 1997 as a two show project and has grown exponentially and now celebrating its 14th year. Located just off the I-4, the theatre is convenient and easy to find.While the 2012-2013 season is winding down there are still two productions you can catch this summer; Collected Stories and Death of a Salesman. Tickets generally run from $25 for regular seating and $32 for premium, however you can catch some discounted shows during weekday showings. Collected Stories is running from June 21st through July 14th. The drama was written by Pulitzer Prize winning dramatist Donald Margulies. The story is based on the a student/teacher relationship between two women. The student is the teachers protegee and as she matures as a writer over the course of the play (a six year time span) she pens a novel based on the affair of her teacher with a well known poet. The drama examines relationships and what is fair game when it comes to the creative process. Described as both witty and powerful, it is a must see. The classic Arthur Miller play, Death of a Salesman, won the 1949 Pulitzer Prize for Drama. The story of an American Dream gone wrong through the presentation of the complicated relationship between father and sons is generally considered the pinnacle of Miller’s career. The play is running from August 2nd through August 25th. There are some additional things to know before visiting the theater. Discussions with the actors and production team, call talkbacks, are held after the show on Thursdays and Sundays. If you attend an opening night production, there is complimentary champagne served and guests get to meet the cast. Children under the age of 8 will not be admitted to the theatre. Concessions including wine, beer, and other non-alcoholic drinks are available along with some sweet bites and are welcome into the theatre. Finally, if you find yourself running late and arrive after the start of the show you will not be admitted into the theatre until intermission. If you are interested in buying tickets to see Collected Stories or Death of a Salesman, check out the Theatre’s website for more information. You can also find out more about the shows playing the 2013-2014 season, which begins in September. Help support the performing arts and enjoy a great show at the Mad Cow Theatre!